Emergency Environmental Control has been offering expert emergency wildlife removal and pest control services across Long Island NY and Westchester since 2000. Residents and business owners in Nassau County, Suffolk County, Queens (including Maspeth and Whitestone), Westchester (including Yonkers and Bronxville) turn to us for expert emergency pest control services 24 hours a day, seven days a week. We specialize in the trapping and removal of nuisance wildlife from your home or business. Emergency Environmental Control is locally owned and headquarted in St. James, Long Island in Suffolk County, New York. We handle the emergency pest control needs of Long Island (Nassau & Suffolk), Queens and Westchester as well as our neighbors in and around St. James, NY, including Stony Brook, Setauket, Smithtown, Nissequogue, Kings Park, Port Jefferson and all surrounding areas. 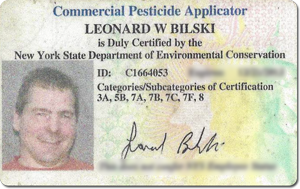 Founder Lenny Bilski has nearly 30 years of pest control and removal experience. He is duly certified by the New York State Department of Environmental Conservation. Emergency Environmental Control employs only experienced pest control and wildlife removal experts. In addition, all our clients have direct access to the owner. Call Lenny Bilski any time. His direct cell phone numbers are 516.983.7910 or 631.334.8899. We understand what fast and immediate service is all about! For questions about our services, please contact us at your convenience. Don't wait until it is too late!